A professional treasure hunter in California is actively seeking the remains of Osama Bin Laden, allegedly dumped from a U.S. Naval vessel after the raid that took the life of the terrorist leader last May. Bill Warren, an adventurer and expert on shipwrecks, wants to recover the body of the infamous Bin Laden in order to subject it to DNA tests and prove or disprove the official government story of Osama’s death. Warren—who claims he has discovered more than 200 shipwrecks during his career as a treasure-hunter—says that bin Laden’s body is still at that same location, deep under water. His thought is that, since the Navy weighted down the bag, the body hasn’t moved from where it was dropped. He is now trying to rent Russian deep diving equipment to locate his payload, and to conduct DNA tests once he finds him…Warren says he is doing this because he doesn’t “believe the Obama administration” and he wants to have proof that it is really his body. Numerous individuals expressed disbelief and incredulity in the aftermath of the assassination of Al-Qaeda’s number one, just a little over a year ago today. Pakistanis are still reeling from the perceived violation of their national sovereignty, with many openly doubting the official version of events provided by the White House. Hussein´s views echo those of thousands of average Americans who doubt the veracity of the government’s story. 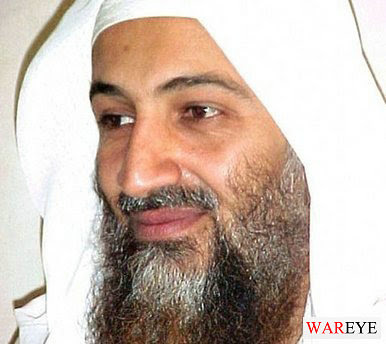 Judicial Watch, a government watchdog group, was just denied a request that its members had submitted in District Court for the release of the photos of Osama Bin Laden’s body. President Obama agreed, saying in an interview on 60 Minutes that “we do not tout our trophies”. Of course, it can be argued that this is not consistent with the government’s attitude following the execution of Saddam Hussein in Iraq or the brutal killing of Muammar Gaddafi in Libya, with pictures of the latter appearing on the front page of multiple national newspapers. Treasure hunter Warren, for his part, is determined to locate Bin Laden’s supposed body, his only fear being that Obama administration might attempt to kill him or sink his boat before he can accomplish his mission. With Obama’s recent murder of American citizens, his signing of the NDAA, and the destruction of civil liberties under his administration increasing at a breakneck pace, Warren can hardly be blamed for being concerned.